The latest production by the Salt Lake Community College theatre program is proving to be a major test for its students. The non-linear comedic musical “Company” was originally selected for production by former theater instructor, Julie Heaton. 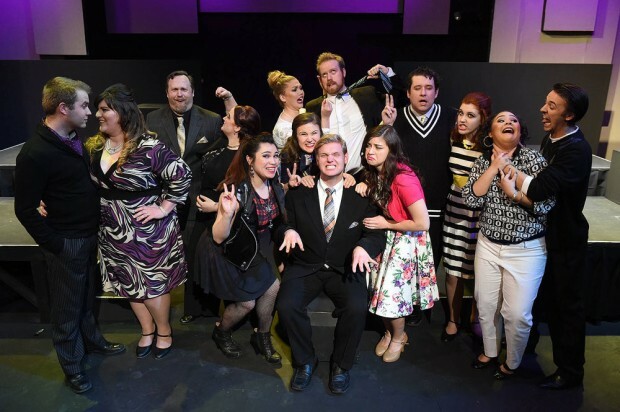 Featuring live music written by Stephen Sondheim, “Company” is a complicated show to perform. Curtis admitted that he was a bit nervous about attempting the show until he discovered the caliber of performers he had to work with. Rather than following the conventional construction of a musical with two leads and a huge ensemble with minor roles, “Company” boasts one lead supported by a strong presence of 13 other characters. Tickets: $10 for adults, $5 for students. The story follows Robert, played by Harland Eldredge, as he celebrates his 35th birthday. A traditional bachelor, Robert must discover for himself whether it’s time to settle down like his friends or continue living as a single man. 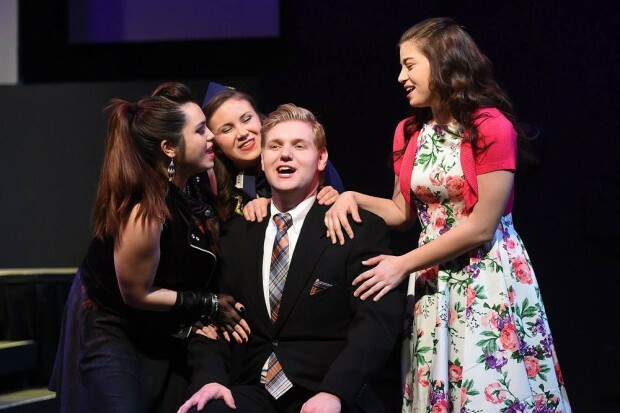 While the SLCC version of “Company” has the traditional romantic duets, vignettes and tap dancing, it also offers unexpected surprises: portrayals of characters smoking pot, karate and a couple who is happier being together after their divorce. “‘Company’ has been a dream show of mine since I discovered it in high school when I was looking at all of the shows that Steven [sic] Sondheim wrote music for,” she wrote in an email. Sondheim is reported to have said that he writes his music “to make people laugh and cry and think.” Actor Selah McKenna, who plays Amy, believes Sondheim’s brilliant compositions created a lot of work for the cast. “He loves to change the time signature multiple times in a song and challenges us with many wordy lyrics,” she wrote. Music director Kevin Mathie helped the cast learn the intricate songs. According to Curtis, Mathie directs musical productions at the Grand Theatre, Desert Star Playhouse and Salt Lake Acting Company. Student stage director Bri Bold explains that the message of the show is more complex than just whether or not someone wants to be married, or whether or not they are in love. A great deal of sacrifice goes into producing a show of such magnitude. In addition to rehearsals that run approximately four hours per night, five nights a week, cast and crew put a lot of additional time and effort into perfecting their roles. Josh Whitaker, who plays Paul, says in an email that he changed his diet and exercise routine in order to slim down for his role. Despite all of this pressure, the energy and camaraderie amidst cast and crew members remains constant. According to King, the feeling is mutual. She believes Bold is well organized with the technical aspect of the show. “She cares about the cast immensely,” King adds. This bond extends to Curtis as the director.